Really Recommended Posts 8/8/14- 666 and the Beast, Evidentialism, Pascal, and more! | J.W. Wartick -"Always Have a Reason"
Really Recommended Posts 8/8/14- 666 and the Beast, Evidentialism, Pascal, and more! I have set up another round of great posts for your reading pleasure, dear readers! Check out posts on eschatology, egalitarianism, apologetics, creationism, and more! Let me know if you liked a post in the comments below, and if you liked theirs, be sure to let them know! Comments keep us going! 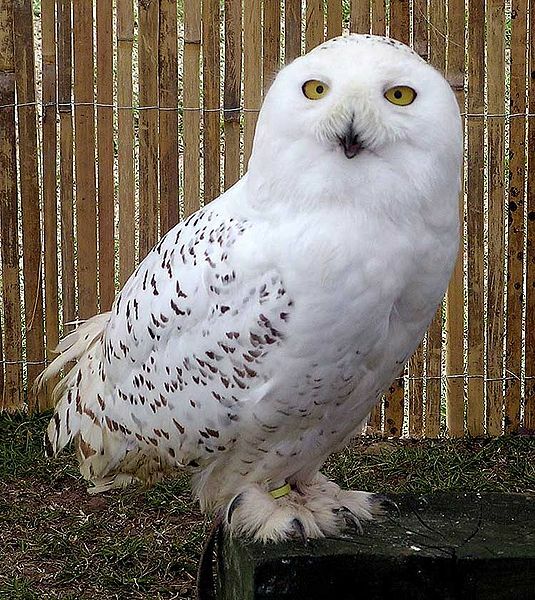 This edition is an “owl post” because I’m watching Harry Potter while I write this. The Mark of the Beast Demystified; or, “I’ve got 666 problems but the rapture ain’t one of them”– A post which discusses the various interpretations of the “Mark of the Beast” among various eschatological views. A very good read! Different but Equal? Giving Words their Real Meaning– What is entailed by a position which suggests that men and women have different but equal roles in marriage and the church (and society)? Check out this evaluation of the position. Why I’m a Christian Evidentialist– J. Warner Wallace explains the benefits of an apologetic method like evidentialism and the reasons he chose this method over any other. It’s a fascinating post with some solid insights. While you’re at it, why not answer the “Question of the Week” about your own favorite apologetic method? Ken Ham’s Ark Adventure to Usher in a Modern Reformation?– Ken Ham of Answers in Genesis was recently in the news for his views on aliens, but he’s also been working to build Noah’s Ark, kind of. Check out this post which analyzes Ham’s comments about this project and the history of creationism. Betting on Pascal’s Wager, Kind of– Pastor Matt Rawlings explains Pascal’s Wager in a brief, basic way. I recently also outlined and defended a version of the Wager, which I think has more credence than many people grant it. Finally, someone other than atheists give credence to why the ‘different but equal’ notion is an imposed value on later Christianity (the kind that evolves through interpretation). Thanks, JW. I always thought it would make a terrific Masters thesis to more fully explore whether or not early Christianity was empowered more by women (supporting the kind of gender equality advertised to be the kind Jesus practiced) than men. I think many modern Christians would be shocked at how egalitarianism (as preached and practiced in many of) these early Christian communities became subject to Church dominated male chauvinism and misogyny presented as if with scriptural authority. I think the very question of “whether or not early Christianity was empowered more by women… than men” is off-target. Paul explicitly wrote against trying to set up either gender against the other in Galatians 3:28 with a shocking statement saying “There is neither slave nor free, Jew nor Greek… no male and female” [the last bit is literal]. He wasn’t doing away with any kind of gender distinctions, but he was clearly stating that in the Christian life, there is to be no setting up of one gender against the other as if there is some sort of sword between the sexes. I didn’t mean to suggest that this religion was meant to be gender-dominated at all. What I meant was that this was the first religion to gain dominance (as far as I can tell) by empowering women to be considered fully equal in the sense of religious egalitarianism justifying political and legal egalitarianism. I think the later emphasis on ‘appropriate’ gender roles inside various kinds of Christianity is actually a perversion away from what gave this religion its powerful starting legs (about 200 years), so to speak, but much more research would be needed to explore this hypothesis further.